2nd Lieutenant William J. Grummett, Norfolk Regiment. 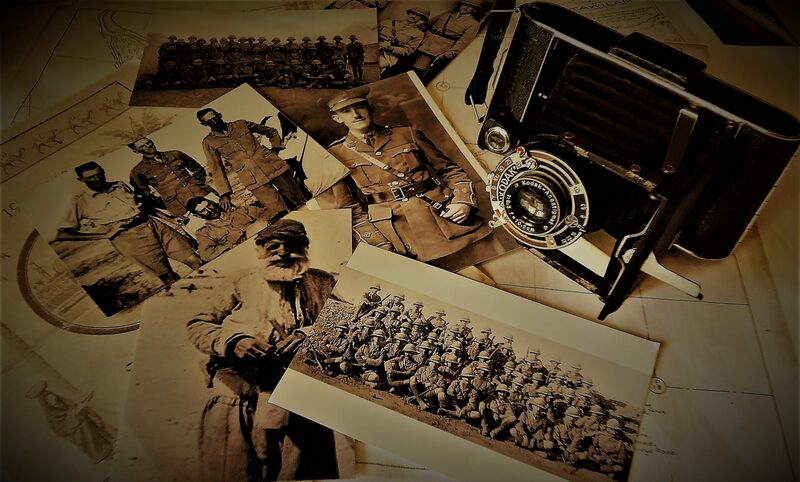 The purpose of this website is to tell the story of our Grandfather, William John Grummett’s experience in World War I. The telling will be accomplished through the use of his personal photographs taken during the war, family and other photos and a series of essays which will be posted here over the next 12 months, starting in December of 2017 and finishing up in December of 2018 – one hundred years since the War’s end. We believe it was our Grandfather’s wish to, “write the whole thing down” and he had amassed some of the material to do just that. However, his family, and his enduring commitment to his community, both of which he so loved, took precedence until the end and must have continually bumped the writing of his wartime memoir to a lower priority. Of course we can’t speak for the man but his photos can. In researching and writing the essays and selecting the pictures, we have tried to follow his trail and to build a framework around and upon his remarkable photos. The point has been to get some sense of what he experienced as war was declared, his role during the conflict, and what it was like to come home. It is the story of a modern odyssey. He was away for 3 years and 9 months and in that time he was a soldier in two armies; beginning as a simple private and eventually becoming an officer. He crossed the Atlantic and the Indian Oceans twice. He traveled no less than five seas including the Celtic Sea, Mediterranean, Alboran, the Red to the Arabian. He stood on four continents and fought bitterly in a land so old that it had forgotten that it was once home to the Garden of Eden and the cradle of the first civilizations. He saw natural wonders on the Indian sub-continent, and the realities of Imperial Britain. He met a family that cared for him like an adoptive son. He made friends and mourned their loss on the battlefield. He traveled nearly 24,000 nautical miles and incalculable miles by train, river steamer, armoured car, on horse back and on foot. And, after all of that, like the famed Greek before him, he came home, bearing both the scars and the triumphs of the journey, to resume his life in the place he loved. And, we offer that to you simply as the story of one man and his contribution to a world changing event.